Bags of Help is Tesco’s local community grant scheme where the money raised from plastic carrier bag sales is being used to fund thousands of local projects in communities right across the UK. Projects that bring benefit to their community will get the green light – these range from improving community buildings and outdoor spaces to buying new equipment, training coaches or volunteers, and hosting community events. The grants will be administered by Groundwork which is an environmental charity who work across the UK helping communities find practical solutions to the challenges they face. By bringing people and the environment together with practical local action. Tesco is encouraging community groups and charities to apply for a grant. They’re also asking customers to nominate local projects that they’d like to see receive some cash. Find out more by visiting Groundwork Tesco Bags of Help. Three community projects in each local area will be voted on by customers in stores across England, Scotland and Wales, with the projects changing every other month. Each time you shop you will be offered a blue token at the checkout and be able to vote for your favourite project. At the end of the voting period, all three projects will receive funding in each local area. The amount of funding available for individual local projects will range from £1,000 to £4,000 – keep a look out for the results in store and online. To apply visit www.tesco.com/bagsofhelp and complete an application form. This entry was posted in Get Involved / Have Your Say and tagged Community Grants, Groundwork, Tesco Bags of Help. This entry was posted in Aug, July and tagged Community Grants, Small Grants Scheme. The closing date for complete applications for both funds is Thursday 1st February 2018. 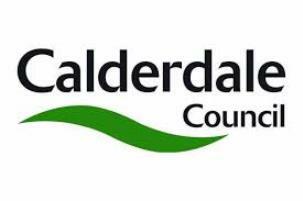 This entry was posted in Feb and tagged Calderdale Council, Community Grants. Rosa, the UK Fund for Women and Girls, has announced the second round of Rosa’s Voices from the Frontline grants programme. Rosa’s Voices from the Frontline Grants Programme is designed to support women’s organisations to promote their fight for gender equality in the UK through charitable advocacy work. The programme offers one-off grants of between £500 and £2,000 and expects that up to 25 projects will be supported in 2017/18. The funding is for charitable advocacy work across Rosa’s four pillars of leadership and representation, safety, health and economic justice. Rosa is looking to support a range of women’s voluntary and community organisations, from those who are just beginning to make their voices heard, to those looking to begin to catalyse change at a higher level. The funding can be used to cover costs relating to increasing the skills, capacity and credibility of women who wish to challenge gender inequality and promote awareness and change. Raise awareness of one or more of Rosa’s four pillars. Coaching or travel costs for a service user to speak at an event or national conference. Presentation, media or lobbying training to support organisational advocacy strategies. Costs of creating campaign materials, such as posters, infographics or videos. Articulating the story of one woman to champion an organisation’s work. Making a case to local commissioners for the value of the group’s service. Meeting costs with local/national government representatives or for planning a campaign. Women’s sector voluntary and community organisations in the UK can apply as long as they have a written governing document, have been active for at least one year and can produce annual accounts for an entire year, a governing body or management committee with at least three unrelated members, and a UK-based bank or building society account in the organisation’s name with at least two unrelated signatories. Although it is not required to be a registered charity, the applicant’s activities must be charitable, legal and for the benefit of women. The deadline for applications is 15 June 2017 (5pm). Full details can be found on Rosa’s website. This entry was posted in Get Involved / Have Your Say and tagged Community, Community Activities, Community Grants, Community Groups, Funding. Skipton Building Society is providing its Grassroots Giving programme for a fifth year in a row to small, local community groups in the UK. The Skipton Building Society established the Grassroots Giving programme in 2013 to mark the anniversary of its 160th birthday. It offered 160 donations of £500 to local grassroots groups and organisations that are “passionate about making life better for others” but which get very little support elsewhere. The winners were chosen by a public vote. This year, there are 164 pots of £500 to give away to voluntary groups, community organisations and sports clubs throughout the UK. The funding will be awarded to projects that create empowering opportunities and make life better for local communities. Priority will be given to projects which get very little support elsewhere. Local grassroots groups, such as community allotments, social groups for older people, and groups running activities for young people, from across the UK may apply. Groups should have an annual net profit of less than £10,000. The online application runs from 2 May 2016 to the end of July 2017. Following the application closing date, a shortlist of organisations will be compiled and listed on the Grassroots Giving website. The public will then be free to vote for their favourite organisation, and the winning groups will be announced in early November 2017. Please note that registered charities may not apply. Full details can be found on Skipton Building Society website.